On a scale of one to ten, how much do you like the background music in YYH? The fans pick: 10 - it was sooooo AWESOME!! The fans pick: Yu Yu Hakusho. Who are your top five male characters in order? 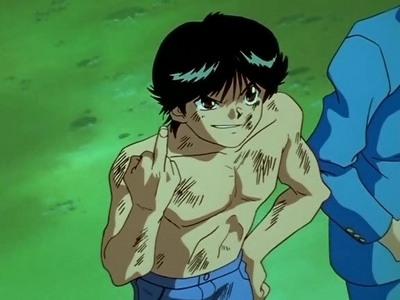 Yu Yu Hakusho is not a very new animé but in my opinion its one of those things that you can rewatch and its still has the same feel to it. The story is about Yusuke Urameshi who gets runover by a car and dies, but his death was unplaned and the afterlife don´t have a place for him so instead they give him the possibility to come back to life as Spirit Detective. Do you know that Gandhara was once the name of a real place? Here's something that I found while doing a little research and thought it was very interesting. Have a look. a comment was made to the pop quiz question: Which one of following Kuwabara's Sword is more powerful?